Have you exhausted your gift ideas this holiday season? Still looking for that perfect present for the football fan in your life? USA Football, the national governing body for amateur football, is going to let you in on a little secret. What your football fan really wants, is to experience the excitement of International Bowl 2016! On January 31, 2016 USA Football’s International Bowl will be held right here in Arlington at the AT&T Stadium. Each year, USA Football is entrusted to bring together the National Team which is comprised of the best high school talent in the nation. 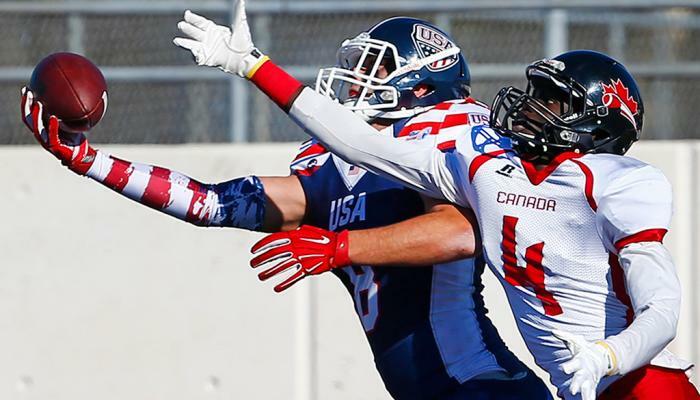 The International Bowl takes America’s beloved game to the international stage. This year, the U.S. National Team will battle Team Canada over the course of three days. This holiday season there’s only one thing that’s on your football fan’s list – and that’s the chance to experience thrill of International Bowl 2016. See it live and get up close and personal with the best-of-the-best in high school football as Friday night lights takes the international stage!